Yes, “prairie” made sense. This floating marsh looked a bit like the restored wet prairie I had seen at the University of Wisconsin Arboretum in Madison in June, the vegetation of which also would have been chest-high. The floating marsh we were on was essentially a prairie ecosystem, even though it happened to be ungrounded and floating in Bayou Barataria in the Mississippi Delta in, a dozen miles south of New Orleans. I was here with a group of ecologists on a preconference field trip on Sunday, August 5th, at the beginning of the 2018 annual conference of the Ecological Society of America. 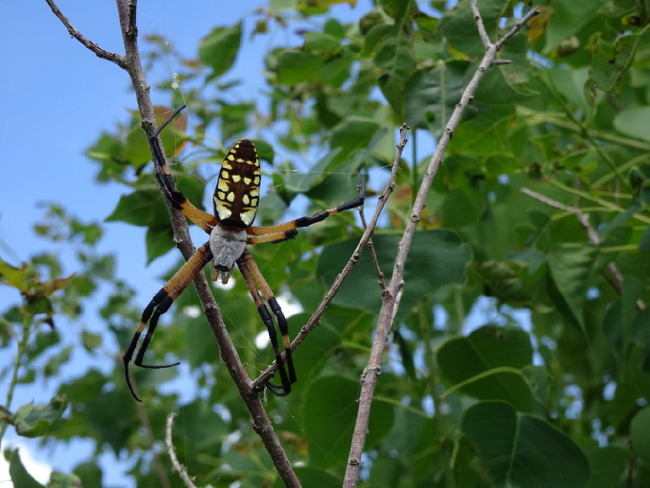 The trip was organized by Dr. Julie Whitbeck, the ecologist of the National Park Service’s Barataria Preserve (the natural unit of the Jean Lafitte National Historic Park and Preserve), and Dr. Chris Swarzenski, a wetlands scientist with the U.S. Geological Survey. I had visited the Barataria Preserve before, in December 2016, and wrote a story about that visit here (see link at the end of this blog). I saw the floating marsh from a terrestrial viewpoint then, but was excited to have the chance through this field trip to feel it under my feet. Floating Marsh, Barataria Preserve, Louisiana, 5 August 2018. When I stood still for a minute, I could feel my feet slowly sinking and dark marsh water creeping up around my ankles. When I deliberately jumped up and down, it created a rhythmic rebound of the marsh around me, like jumping on a giant, slow-to-respond water bed. When an occasional gust of wind swept over, I closed my eyes and felt through my feet the marsh’s gentle tremble in response to the wind’s caress. Floating marshes are found in only a few places in the world besides the Mississippi Delta. I had experienced a floating marsh ecosystem only once before, in the Rugezi Marsh in northern Rwanda, at the headwaters of the White Nile. We walked out onto Rugezi toward the tall thicket of papyrus (Cyperus papyrus) that dominates the lower part of the marsh, searching for Grauer’s Swamp-Warbler, a rare and endangered bird found only in this type of marsh habitat in the Albertine Rift region of Africa. The ground got bouncy underfoot as we approached a narrow, blackwater channel about 15 feet wide, which we had to cross on a tiny log. I wasn’t confident of my footing, so thinking I was smart, I grabbed a couple of walking-stick-length poles, which I imagined using to balance myself with on the bottom of the stream, as I’ve done so many times crossing mountain streams and rivers in my home country. My Rwandan companions must have been puzzled, but said nothing. Halfway across, I started to feel off balance, so tried to plant first the right-side pole, then the left-side, on the bottom. But they hit nothing, which of course caused me to lose my balance completely. When I fell in I was half a body-length from the far bank, and I grabbed the log with my left arm while our local guide grabbed my right hand and dragged me ashore. It was a memorable encounter with a floating marsh, which at the time I didn’t know was floating. There was no bottom for the poles I’d imagined balancing with to reach. 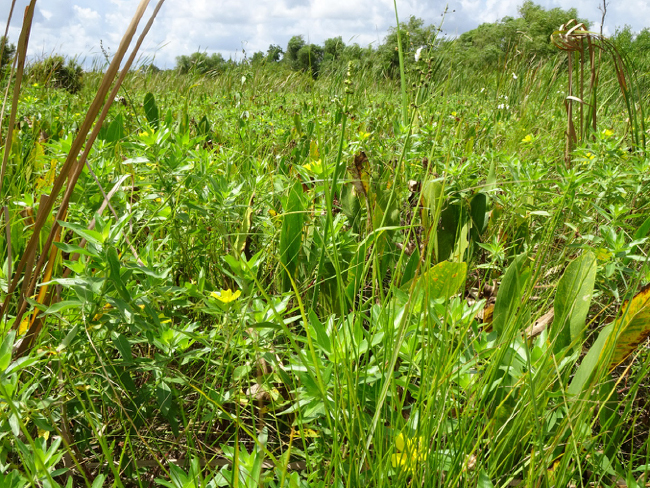 A grass called maidencane, Panicum hemitomon, and bulltongue arrowhead, Sagittaria lancifolia, are the dominant species in the trembling prairies of the Mississippi Delta. But the unique environment created by these dominant species supports an amazing diversity of other plant species. Chris, one of the organizers of the field trip, told me that they routinely find about 20 species of plants in their one-meter-square sample plots, and more than 50 plant species when searching a wider area. Floating marsh is probably the most diverse ecosystem in the Delta in terms of plants, according to Chris. There are even five species of orchids! Location of Barataria Preserve. Source: Swarzenski, C.M., 2004, U.S. Geological Survey. Why? In many places, floating marsh gets burned regularly, so no one species can take over, Chris hypothesized. But hey, wait a minute! Fire in a floating marsh? What’s with that? The main cause of fires are local bayou residents, who start them deliberately at least every few years, probably to create better conditions for trapping, he said. I didn’t find out what they were trapping – maybe muskrats or the invasive nutria? 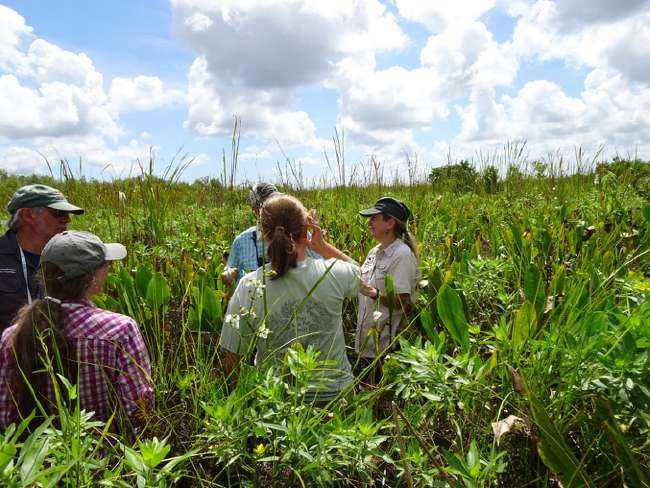 Dr. Julie Whitbeck talking to ecologists on the floating marsh, Barataria Preserve, Louisiana, 5 August 2018. Within the Barataria Preserve itself, the floating marsh has not been burned recently, and over the past decade wax myrtle (Myrica cerifera), a shrub or small tree well-adapted to wetland habitats, has been able to establish itself. Red maple (Acer rubrum), also very tolerant of wet roots, has also become established. The Chinese tallow tree (Triadica sebifera), an aggressive invasive species here, is pushing into floating marsh in some places. We saw it along the edge of the spoil bank we crossed to enter the marsh, but not farther out onto the flotant. 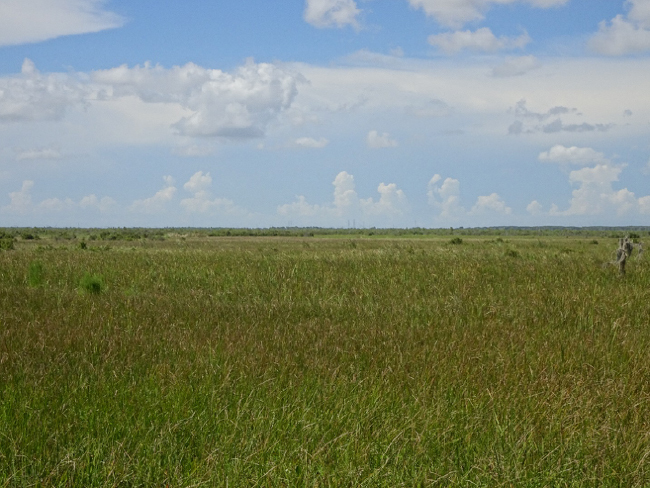 View across Lake Salvador from the Barataria Preserve. After walking on the floating marsh, we motored back down the canal on the big pontoon boat, and hung a right into the expanse of Lake Salvador. On a far point, dark rain was slanting down from a towering cloud. Our boat captain, named Rocky, a burly local, wore a sleeveless shirt to show off his upper-body muscles and tatoos. Julie, an ecologist and one of the trip’s organizers, often deferred to him to answer questions we asked; he was, in fact, a font of local ecological knowledge. The redfish-fishing was great right now in Lake Salvador, he said. Julie described how she had interviewed an elderly resident of the area, who remembered the field where he played ball as a child, right here in front of our boat, a place now underwater and a hundred yards or more offshore. I asked about the depth of the lake, and Rocky confirmed that it was only a few feet deep. For me, a lake is a lake, depth is deceptive, and it was hard for me to imagine that in a time-lapse movie spanning less than a lifetime, where we were floating now was then land. 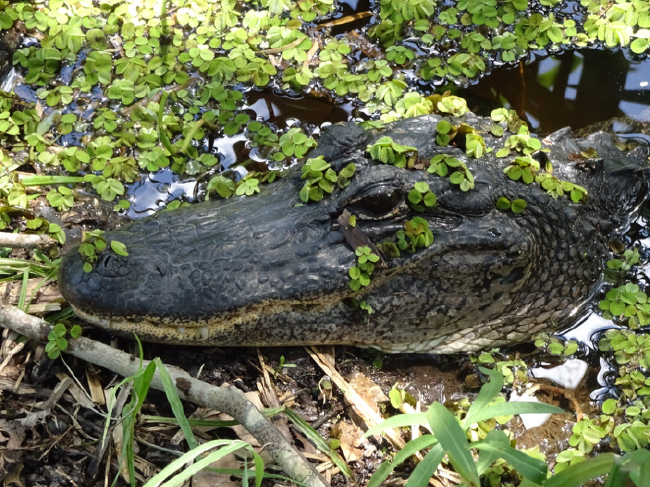 In the afternoon we explored other ecosystems of the Barataria Preserve. The topography here controls everything. From the old natural levee ridge of the Bayou Barataria, where the Bayou Coquille Trail starts, ecosystems change from ancient live oaks, through a zone of baldcypress and palmetto, to the edge of the floating marsh. The trees and plants respond to the water table their roots feel, which depends, here, on sea level. From where we parked at the start of the trail, the elevation drops – ready for this? – from the top of my head to my feet. Yep, in the half-mile we walked to the floating marsh overlook, through the slowly-changing forest, we had descended only about six feet. 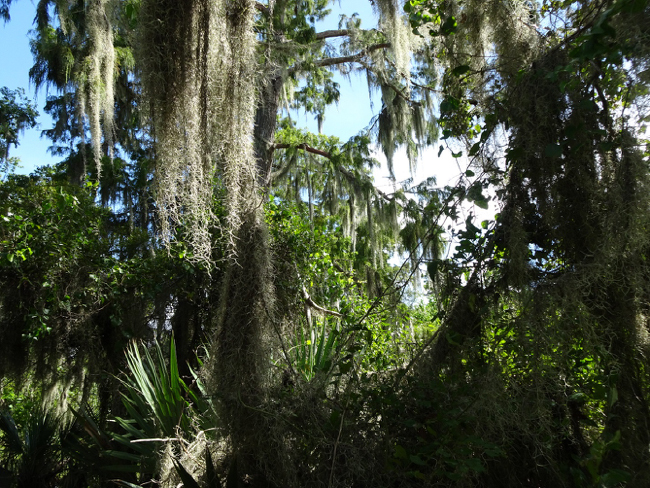 Baldcypress, Spanish moss, and palmetto along the Bayou Coquille Trail. View across the floating marsh from the Kenta Canal viewpoint, Barataria Preserve, Louisiana. This Barataria landscape, in the larger picture of things, is new land. It was created less than a thousand years ago, when the Mississippi shifted its flow from the older Lafourche lobe of its delta, west of here, to build the Plaquemine lobe farther east. Native Americans were living in the Delta then, of course, and following the shifts of the river with their subsistence livelihoods. There are shell middens and burial mounds on the old high-ground ridges all through the area. The name Barataria comes from the name of a settlement of people from the Canary Islands that was established by Spain in 1779 to deter territorial claims or military action by Britain. After the area was acquired by the United States in the Louisiana Purchase in 1803, there were sugar cane plantations here, and later, canals were cut through the marshes and into the swamps to log and transport baldcypress, whose rot-resistant timber built New Orleans. People have been living in and around Barataria and its trembling prairies as long as they have existed. American alligator along the Kenta Canal covered in invasive Amazonian floating fern, Salvinia minima, 5 August 2018. But the times they are a changin’, as we heard and saw firsthand in Barataria. The land is a sinkin’, and the sea level is a risin’. The causes of the changes are complex, but are at least in part due to human decisions that can be traced back about a century or so: To a national policy of building levees to control floods and keep the Mississippi in its old channel despite the laws of geology; to our addiction to oil and gas that pumped out part of the foundation of the Delta and accelerated its natural subsidence; and… again, our addiction to that oil and gas that pumped all of that fossil carbon dioxide into the atmosphere and warmed everything up including the ocean so it expanded and caused sea level to rise, and very likely also increased the frequency and intensity of hurricanes that hit this area. In the Barataria Preserve, the research and planning of National Park Service scientists and managers has to take into account the fact that the land they are mandated to manage is sinking, sea levels are rising, and climate change is happening – and they have been doing their (sea) level best. But now they must also contend with a science-denying administration in Washington, DC, for which the words “climate change” are a no-no. They are caught in a Catch-22 situation: Their plans to manage for climate change can’t say so. In Barataria and the rest of the Mississippi Delta, it’s a sinking feeling. But there is a sinking feeling here in the “swamp” of Washington, DC, right now too, of course. The swamp is deepening and darkening, and invasive species never before seen in our democratic ecosystem have recently appeared. It all could be taken as depressing… but then, I think of the floating marsh, with its extraordinary diversity, and how it thrives under what ecologists call “disturbance regimes”: The shifting course of the big river, and human-caused fire, and maybe even the onslaught of non-native invasive species and the challenges of global climate change. And I remember when with my eyes closed I felt the marsh respond under my feet with a resilient tremble to the wind passing over us. We’ll be OK, I think. We’ll come out on top. Searching for Grauer’s Swamp-Warbler at the Top of the Nile. September 2014. 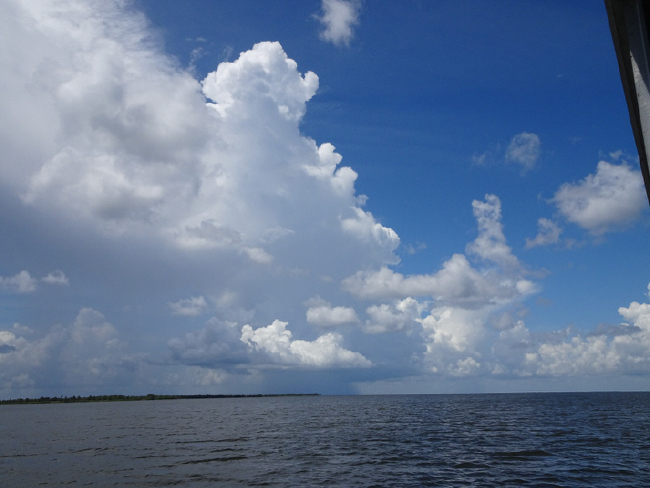 ESA 2018 Field Trip: How is Ecological Understanding Informing Protected Area Management in the Rapidly Subsiding Freshwater Wetland Landscape of the Mississippi Delta? Swarzenski, Christopher M. 2004. 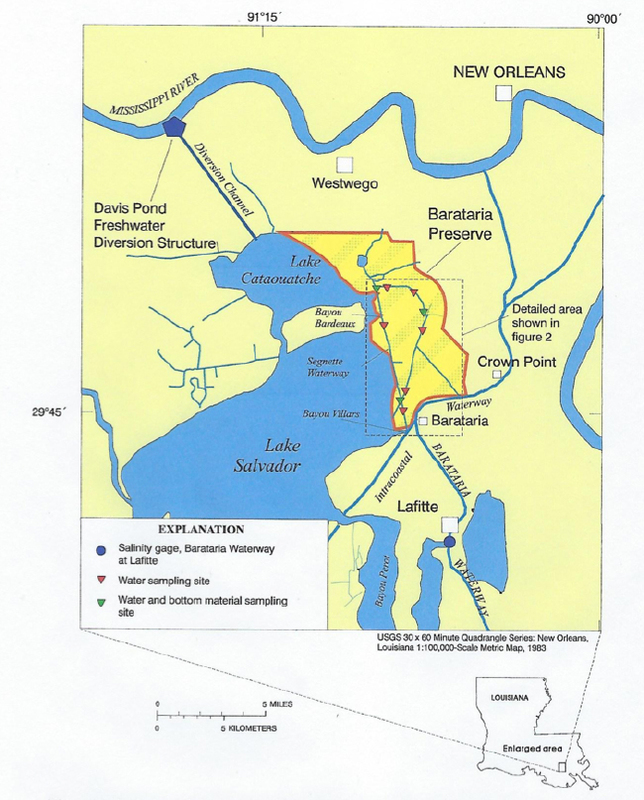 Resurvey of Quality of Surface Water and Bottom Material of the Barataria Preserve of Jean Lafitte National Historical Park and Preserve, Louisiana, 1999-2000. U.S. Geological Survey Water-Resources Investigations Report 03-4038. The Floating Marshes of Louisiana: A Unique Ecosystem. U.S. Geological Survey, 2011. Vascular Plant Inventories of Jean Lafitte National Historical Park and Preserve, Barataria Preserve and Chalmette Battlefield. Urbatsch, L., et al. 2009. Come by when you have a need for some serious terra firm. Thanks Dave, I will do that when I need to get out of the swamp and feel some solid ground again!.